Earlier today, I predicted that there would be further slinging of words between T-Mobile and critics of its Binge On video streaming program. What I didn’t know at the time was that T-Mo CEO John Legere would go on Twitter to respond to, and profanely insult, those critics. At issue, as detailed in the earlier stories, is the way in which T-Mobile’s Binge On downgrades streaming video feeds over the company’s cellular networks, even for content providers that are not part of Binge On, like YouTube, which has been very public about its concerns. Earlier this week the Electronic Frontier Foundation — a 25-year-old non-profit that has been instrumental in supporting things like net neutrality and cellphone unlocking — released the results of tests that raise doubts about T-Mobile’s claim that it is “optimizing” streams for mobile users. 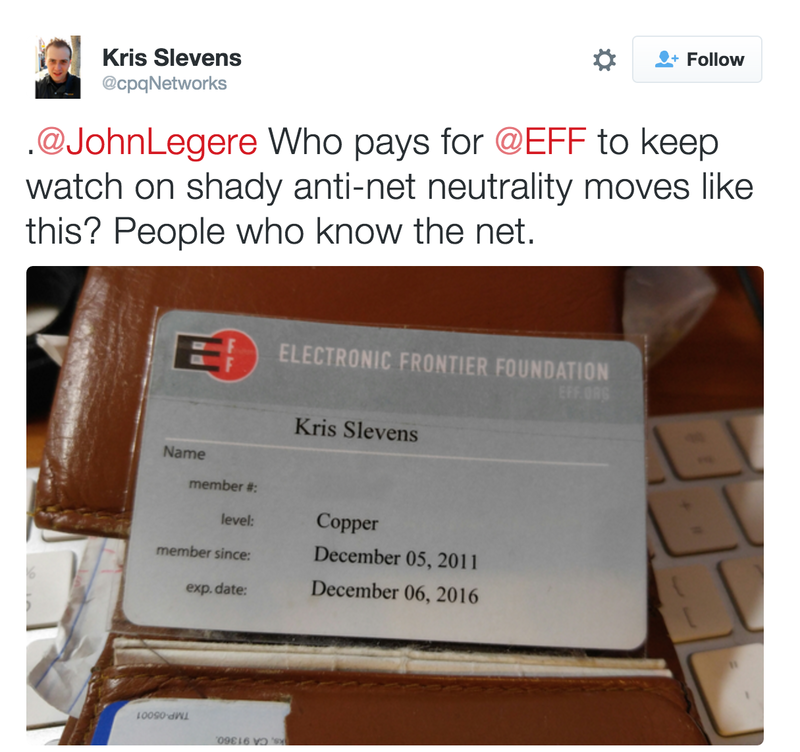 With regard to who pays the EFF, the apparent implication is that T-Mo’s competition is footing the bill. That seems unlikely, given how strongly the telecom industry opposes many of the EFF’s most staunch positions — more privacy, net neutrality, increased corporate transparency. Would AT&T or Verizon fork over big bucks to an organization that could just as easily use that money to make their lives more difficult? The answer to some of Legere’s question is already available on the EFF website, where its 2014 revenue breakdown shows that corporate donations only account for about 4% of all the money it brought in that year. 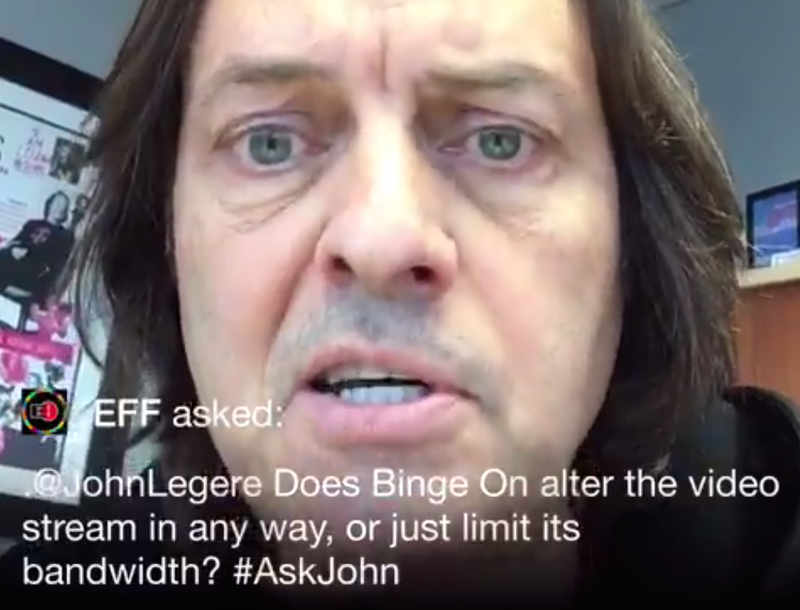 We’ve certainly cheered on Legere’s brash pronouncements in the past, but this sort of schoolyard posturing in response to a reasonable question only makes it look like he’s not prepared to answer what is being asked of him.